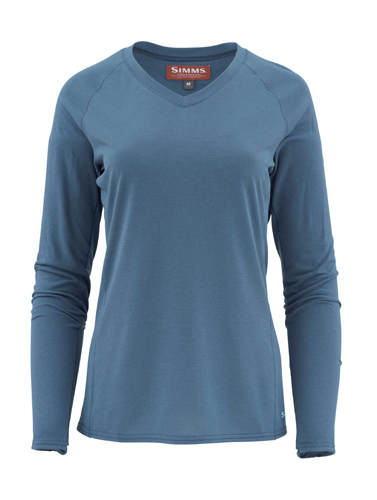 The Simms Women's Drifter Tech Long Sleeve Shirt is a women's light weight, quick wicking fishing shirt by Simms that utilizes DriRelease Technology and is quick drying; all wonderful qualities to have in a women's fishing shirt. This Simms Women's Drifter Tech Long Sleeve shirt is 100% polyester with Dri-Release Technology to keep you dry all day long, as well as a shaped hem and peached fabric. If you're looking for a quality women's fishing shirt, then make sure to check out the Simms Women's Drifter Tech Long Sleeve.